There are many factors to take into consideration when selecting a child care center. At Orchard Park Child Care in Minnetonka, MN, we do everything in our power to create a child care program that works for and enriches the lives of parents and children. 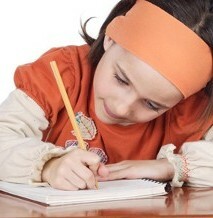 Contact us to learn more about our child care tuition in Minnetonka, MN. Early childhood is a crucial learning period. From birth through age five, children learn most of the fundamental skills they need to be successful in school and as adults. Therefore, the quality and commitment of your child's early learning experience is of utmost importance. Let us help you in your decision-making process. Consider your child's education as you would any long-term investment. There's a difference, however. You're investing in human potential, your family and ultimately, a sense of community and your child's personal safety, growth, and education. Does your workplace provide any scholarships or tuition assistance? Are payment plans for tuition available (can tuition be paid weekly, monthly, or is there a discount for paying via check rather than credit card? Does your family qualify for other financial assistance (i.e., low income/financial-need)? As you consider programs, you may need to think about how this investment is balanced with the other financial commitments your family has. If you have found "the right program" for your child, leave no stone unturned in looking at how you can make the program happen for your child. Early education impacts a child's life. Programs come in all sizes, formats, and costs. Find the one that best meets the needs of your child and invest in their future. The return is worth it.